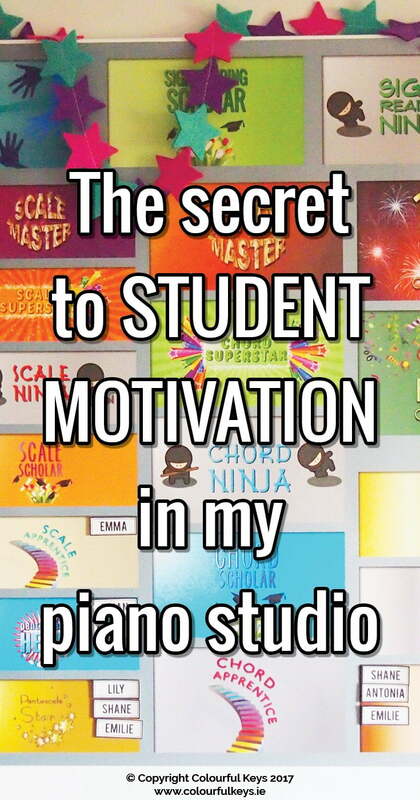 Do you struggle to keep up your students’ motivation for scales, technique or theory? Well, I’ve got a little secret to share with you, so lean in close. You need a challenge board. My challenge board is my magic pixie dust. It’s what keeps my students striving for better, even with the “boring” stuff that might otherwise get left by the wayside. About two years ago I was getting frustrated with the various different practice challenges that I had been using in my studio. It wasn’t that the challenges weren’t working, or that anything was wrong with them per say, but they felt disjointed. 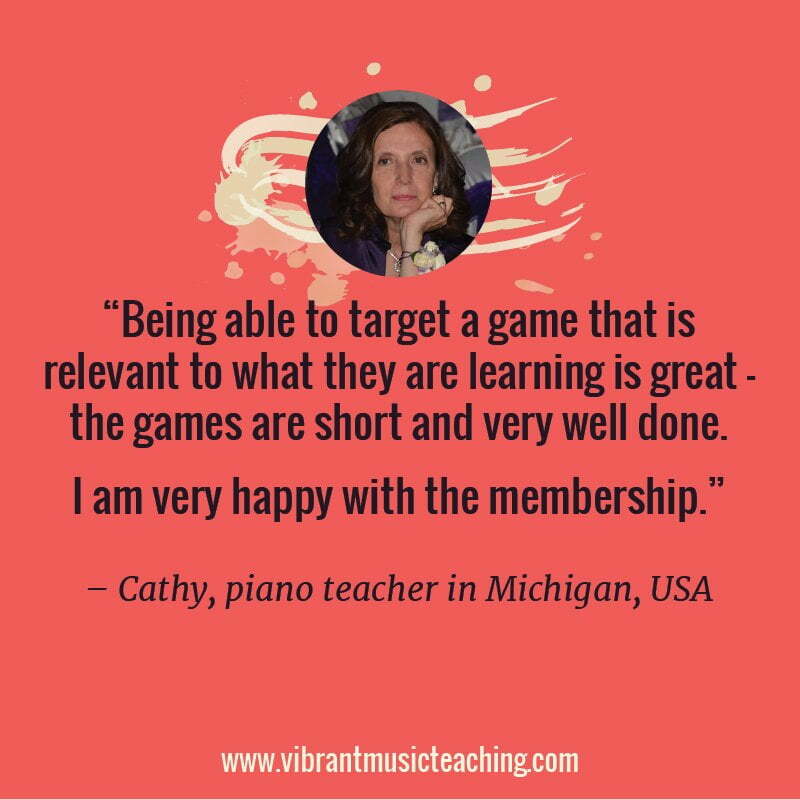 More than just that – they didn’t feel very musical or like they were teaching transferable skills. 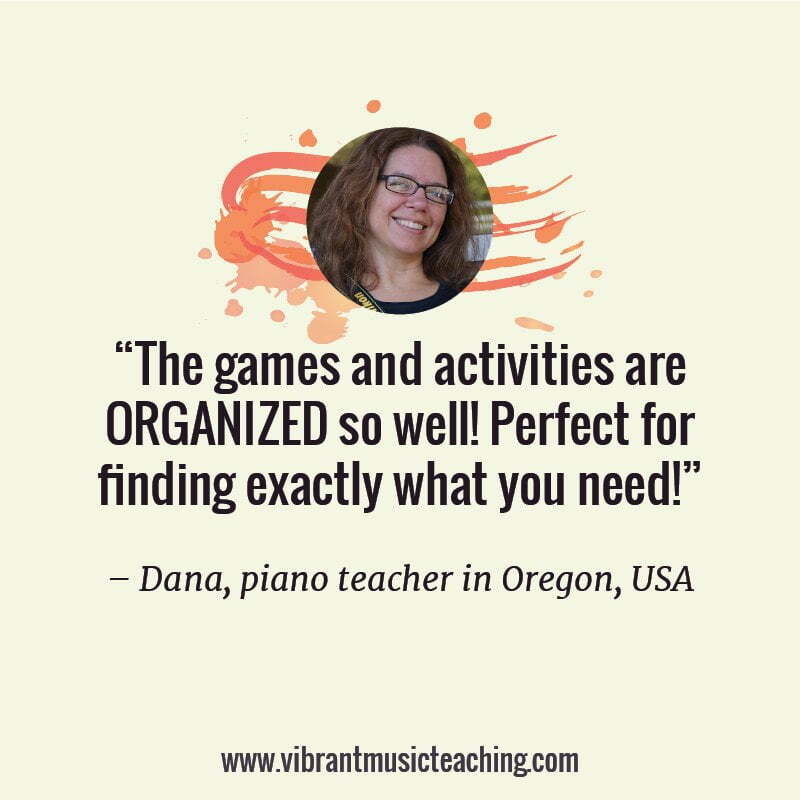 I wanted a studio-wide, comprehensive solution that could be adapted as I went on. Most importantly, I wanted to incentivise achievement…not minutes spent. So that’s when the challenge board and stickers were born. The idea is inspired by scouts badges, in that there are set, specific and measurable goals – and there’s an element of social proof as students can see what others have achieved so far. 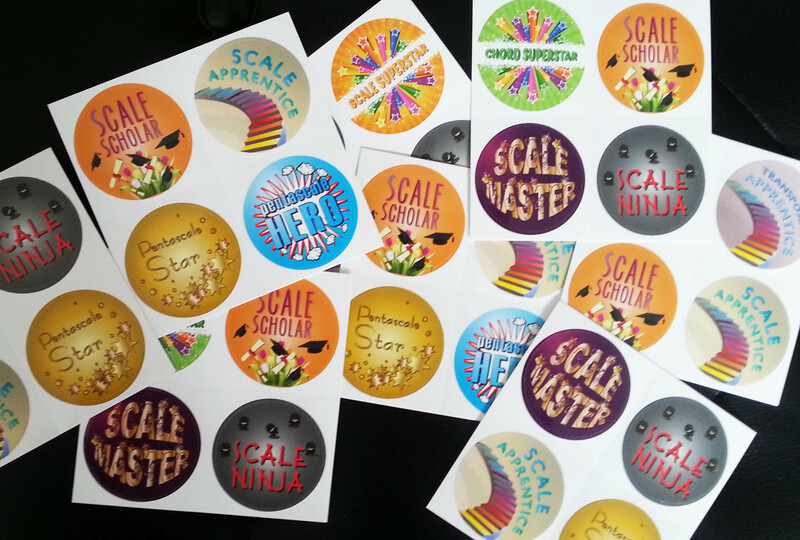 The rules for each challenge are different but all encourage students to focus on a skill they otherwise might not (such as scales), and all earn students a place on the board and a sticker for their folder. 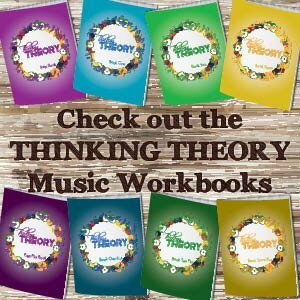 Vibrant Music Teaching members, you can access this resource inside the VMT library. Not a member yet? Find out more about becoming a member here. Almost two years on and this experiment has worked out exactly as I planned. Kids love earning a new spot on the board and adding to their sticker collection. 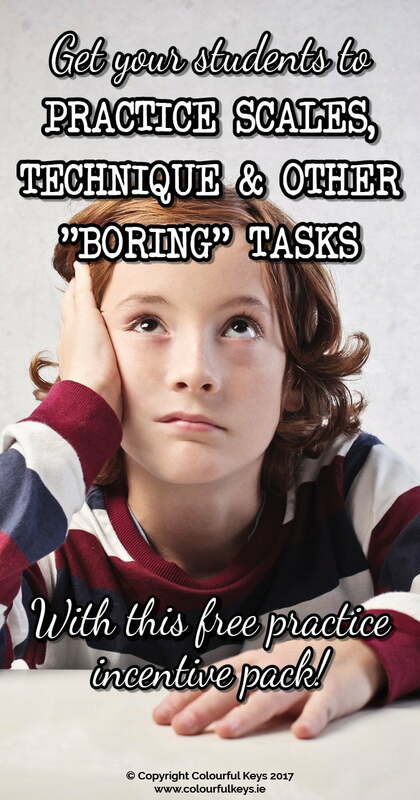 They also put in considerably more effort to learn something when they know they’re close to completing a challenge. It won’t work on all students – but nothing will. 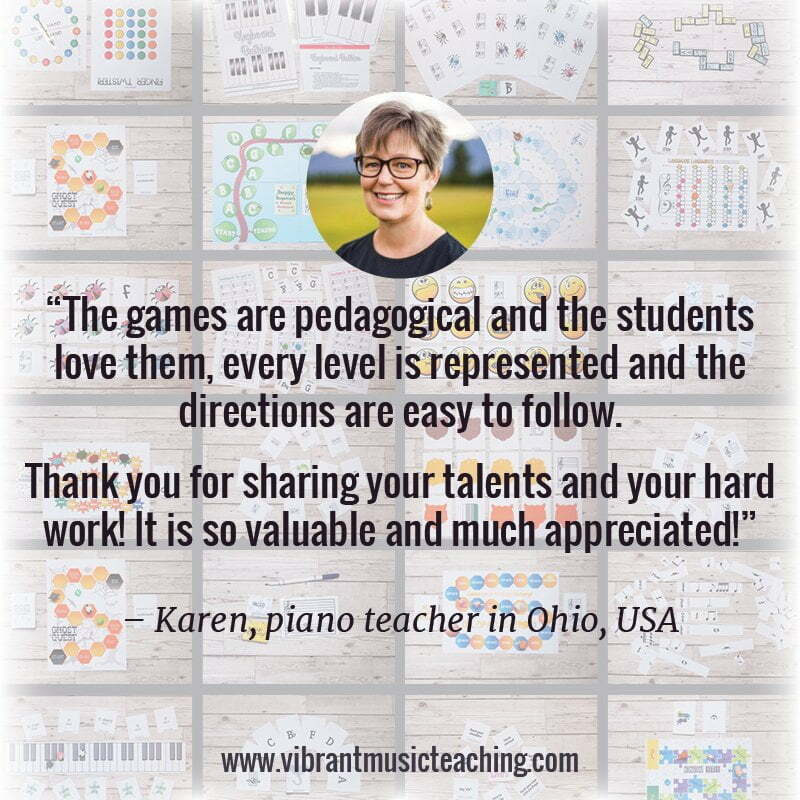 This idea has been such a success in fact, that I’ve recently expanded the board to include a few new incentives and get more of my students involved in the challenges more often. As time went on, things changed and evolved in my studio. 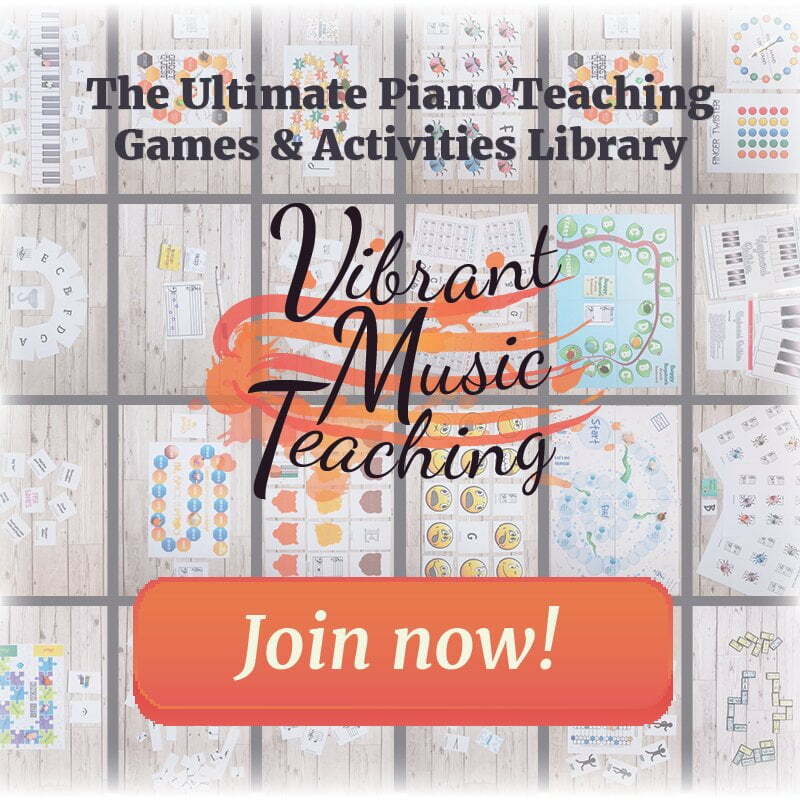 Starting to use Piano Safari has meant that not only is sight reading improving in my studio – but there was an easy way to create a measurement for sight reading. 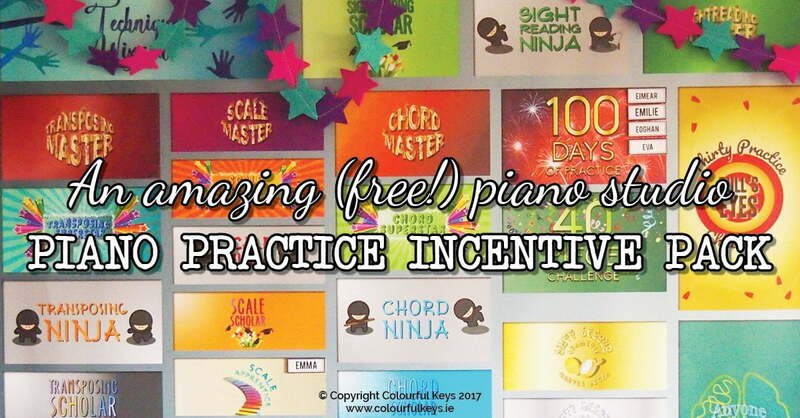 If you’re not familiar with the way Piano Safari sight reading cards work, there are 18 levels, each of which introduces a new concept such as a new interval or left hand pattern. 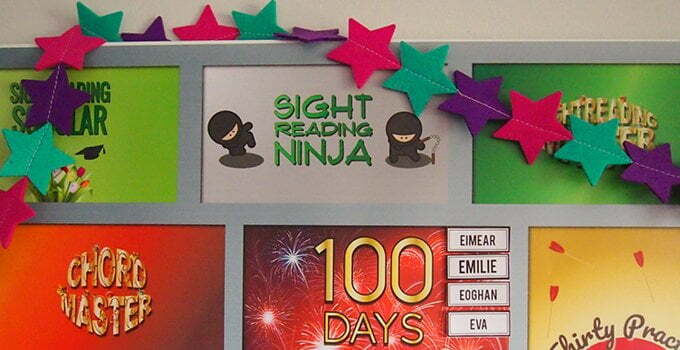 So my new board now includes three sight reading achievement levels: Sightreading Scholar, Sightreading Ninja and Sightreading Master. 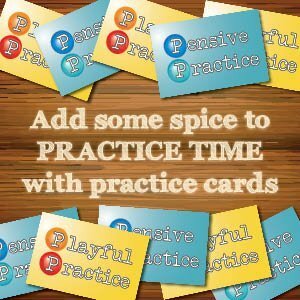 The 100 Days of Practice Challenge was one of the most popular challenges last year. Sure, some found it too tough and didn’t manage to complete it – but it’s supposed to be a challenge, right? Those that didn’t quite get there are already asking when they can have another try, and many that completed it want to try for another! Win! My original board only had two practice challenges, 100 Days of Practice, and the 40 Piece Challenge. Essentially, the former is for beginner students and the latter for intermediates and up (40 pieces in a year is just too easy for beginners, they’ll do that anyway!) so I wanted some more to add into the mix. 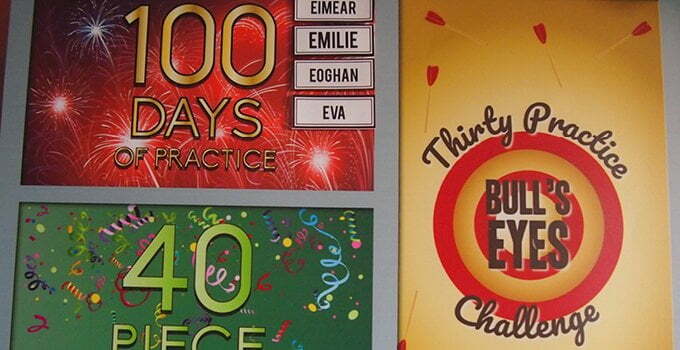 I’ve had a lot of fun coming up with these new challenges: Anytime, Anyone, Anywhere Excellence and Thirty Practice Bull’s Eyes. I’ll be detailing how these work exactly over the coming weeks. The final new challenge that I’ve added to the set is the Technique Wizard. The exact parameters of this one will be based on the method book or other technique that my student is working on. 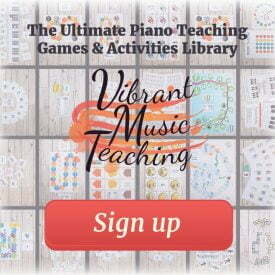 For Piano Safari, they would achieve this when they can demonstrate mastery of all the animal techniques. 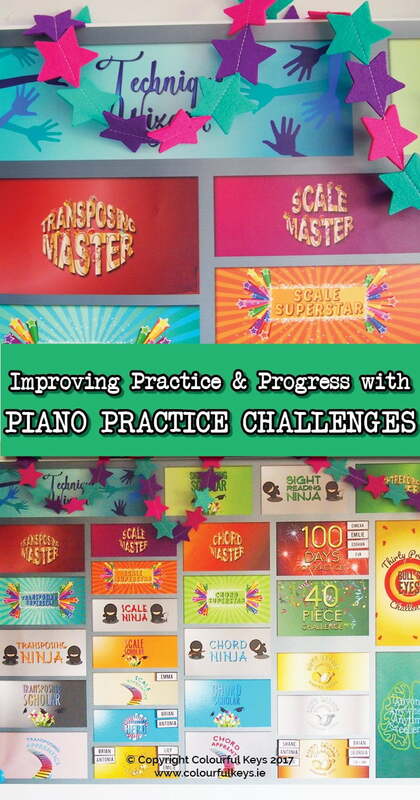 If the student is using Technique Trainer by Jackie Sharp, they would be able to confidently perform any of the basic exercises in this book. 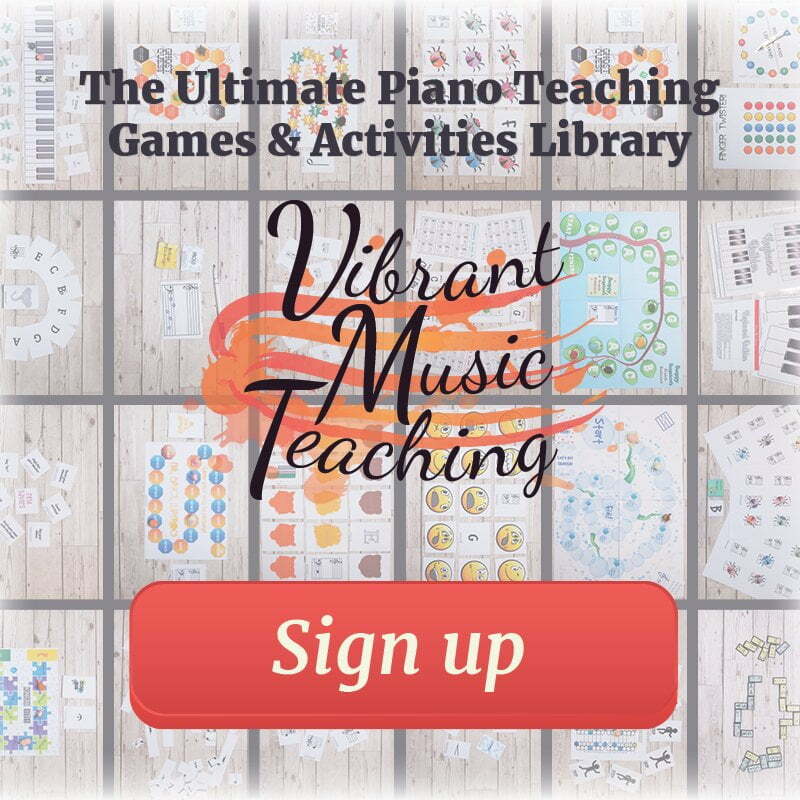 You can easily adapt this to whatever approach to technique you prefer in your teaching – whatever a “technique wizard” looks like to you. Get the full print-ready challenge poster and stickers and use them freely in your studio! These can be used in conjunction with each other – or you can choose to use just one or the other if that’s what suits. Next week I’m going to be sharing the full details of the new 30 Practice Bull’s Eyes challenge (based on the system of targets and goals) so make sure you’re subscribed to get the full how-to on that hyper focussed and productive practice incentive. 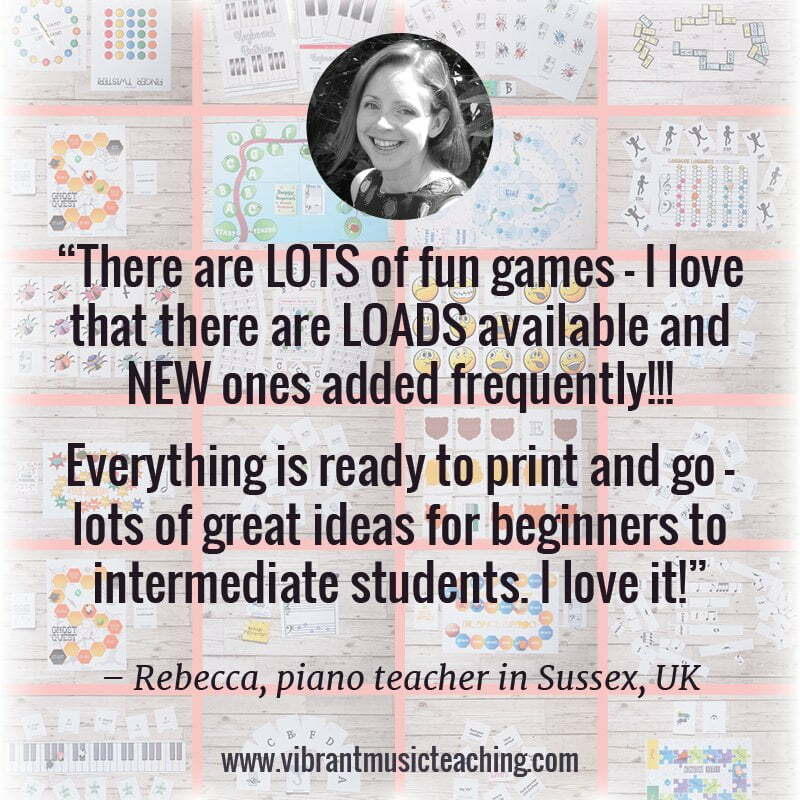 I love this idea, Nicola! It’s a little overwhelming to get going, but I think this is something I’ll work toward implementing in the next year. I downloaded your posters and stickers and was wondering, how do you print the stickers small enough? They seem to be larger than an 8.5”x11” page, and I’m thinking you probably want them no bigger than 2 or 3 inches long and wide so you can easily stick multiple stickers on a student’s binder. Or am I missing something? Those stickers are actually very small, they’re designed to be sent to a professional printer (such as moo.com). If you want to print them at home, I suggest laying out multiple on a sheet – depending on the template of the labels you’re using. Love the idea,….. and having the poster and stickers would really help set it up, but I totally cannot figure out how to access them/print them. Great idea though. Do you have everything up on a cork board? Or just poster board? Have you entered your details in the box above Jacqueline? Did it not come through? Mine is stuck to my magnetic whiteboard and then the students’ names are on magnetic tape so I can easily move them around. Very encouraging words. 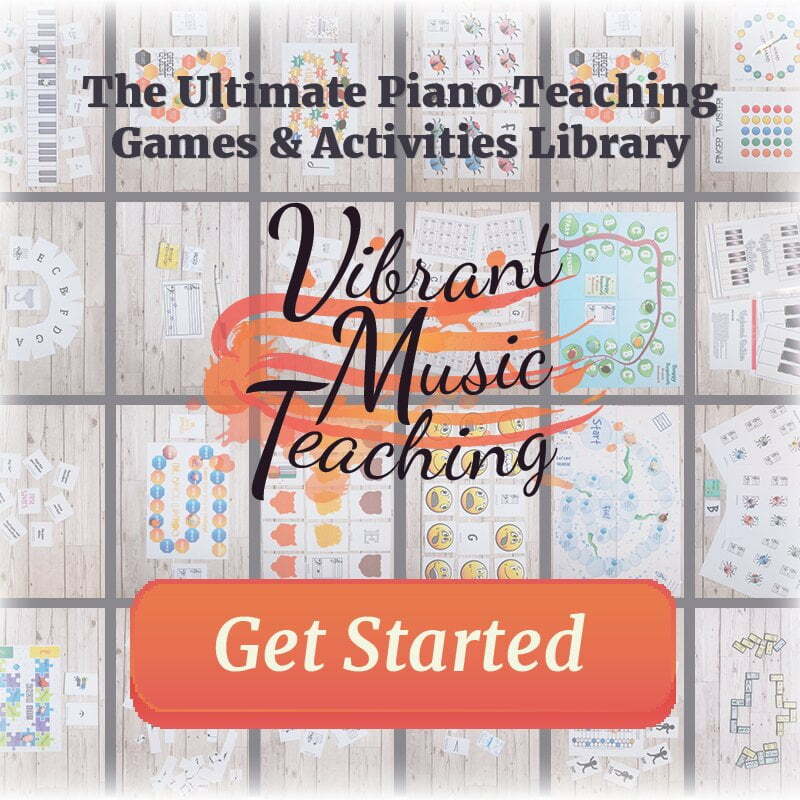 I’ll put these awesome piano learn the technique to work right away. It’s the little changes which will make the most important changes. This looks so amazing…thank you for sharing. I have downloaded the posters and stickers but am having problems printing. The stickers will only print one per page and will not allow me to move them to another document where I could place multiples on a page. The poster will only print a small portion. These are not designed for printing at home Elaine. The stickers are one per page so that they can be sent to moo.com or a similar printing service. The smallest poster is A2, the text would be unreadable at a smaller size. 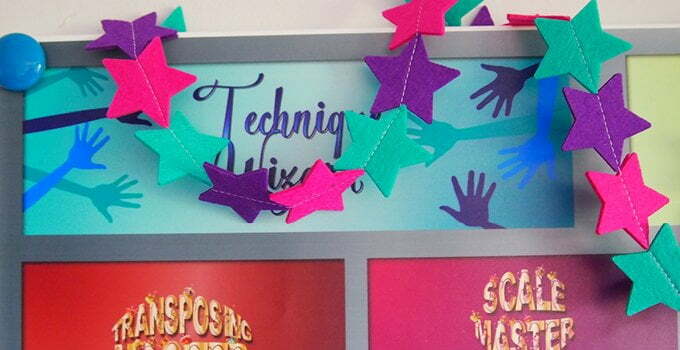 Do you print most teaching materials at home on colour printer or you send them the professional printer ? If latter.,any recommendations? Saw you mention moo.com thanks ! Ps im UK based ! Most things I print at home but this poster and the stickers are professionally printed. For the stickers I highly recommend moo.co.uk and the sticker download above is perfectly set up for them. The poster I get printed at an Irish company, so you might want to look for someone more local for that. I am going to start implementing two of these challenges for the summer. I am not sure which one yet, but I will decide within the next week or two. Do you have a recommendation on where to start? I was also wondering if you have stickers and posters for the songs in piano safari? Again, thank you for all you do!!!! And no, I don’t do these specific to any method books since I (and other teachers!) use them with all sorts and I want them to work for everyone. Hi Nicola, I had your previous charts up in my studio the last two years. Now I want to graduate to the new improved all-in one chart! About what size should it be printed to look good? I’m in the US so I am thinking 24″ by 36″ or 27″ by 40″. That’s approx. 61 by 91 cm or 69 by 102 cm. The “A2” size you mention doesn’t mean anything to me. Thank you! Thank you for your help! Stickers already on their way from Vistaprint, looking forward to getting the poster done and putting it all together! Thanks so much for this – your content, ideas, inspiration, and downloads are evergreen, which is quite the accomplishment! Wanted to share an idea for making practical use of the poster in studio – I will be making my own template/design and getting the poster printed professionally. Then I’m going to put it behind “glass” with a 24×36 poster frame and let students sign their names on right on the “glass.” At the end of the year, it’ll be a simple as wiping it clean to start anew! I don’t have as many sections, so each can be big enough to let multiple people write their names. I hope this actually works! I’ll let you know! This sounds like a fab plan! Do let me know how it goes!